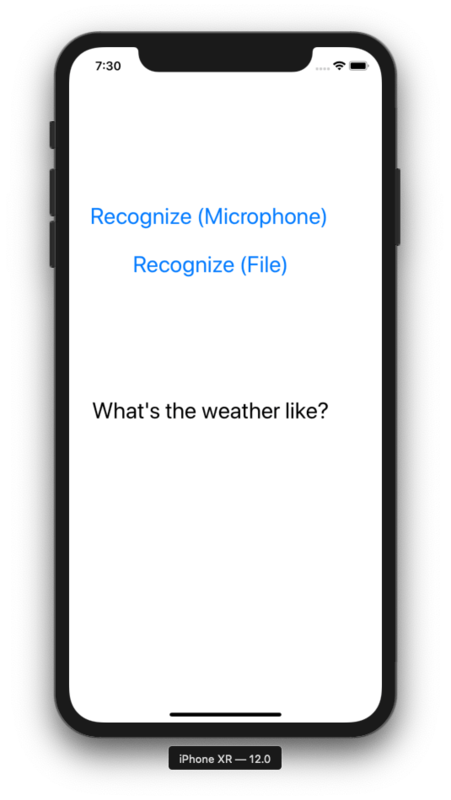 In this article, you learn how to create an iOS app in Objective-C using the Cognitive Services Speech SDK to transcribe speech to text from microphone or from a file with recorded audio. The Cognitive Services Speech SDK for iOS is currently distributed as a Cocoa Framework. It can be downloaded from here. Download the file to your home directory. Start Xcode, and start a new project by clicking File > New > Project. In the template selection dialog, choose the "iOS Single View App" template. Enter a name for the quickstart app, for example helloworld. Enter an appropriate organization name and organization identifier, if you already have an Apple developer account. For testing purposes, you can just pick any name like testorg. To sign the app, you need a proper provisioning profile. Refer to the Apple developer site for details. 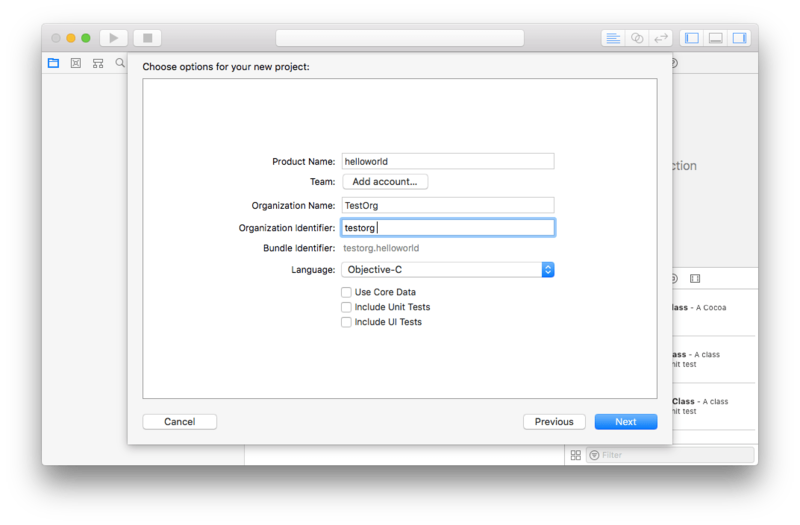 Make sure Objective-C is chosen as the language for the project. Disable all checkboxes for tests and core data. Choose your home directory to put the project in. 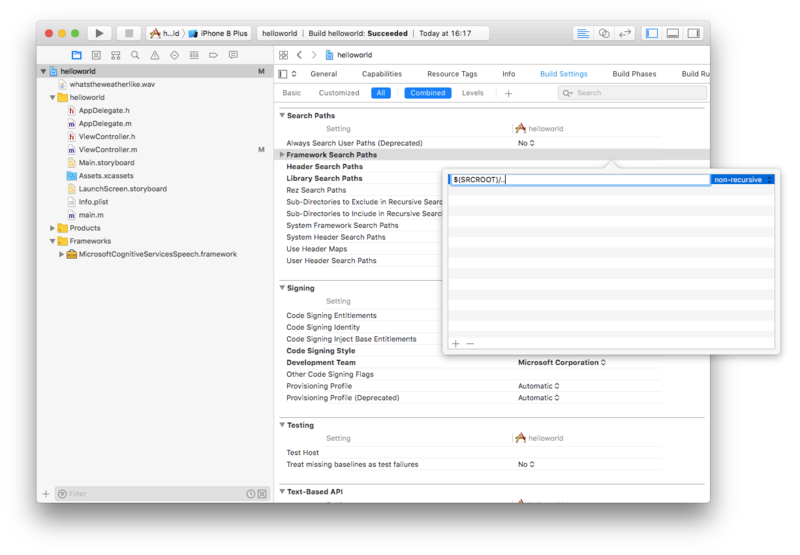 This creates a helloworld directory in your home directory that contains all the files for the Xcode project. Disable the creation of a Git repo for this example project. Adjust the paths to the SDK in the Project Settings. In the General tab under the Embedded Binaries header, add the SDK library as a framework: Add embedded binaries > Add other... > Navigate to your home directory and choose the file MicrosoftCognitiveServicesSpeech.framework. This adds the SDK library to the header Linked Framework and Libraries automatically. Go to the Build Settings tab and activate All settings. Add the directory $(SRCROOT)/.. to the Framework Search Paths under the Search Paths heading. Download the sample wav file by right-clicking the link and choosing Save target as.... Add the wav file to the project as a resource by dragging it from a Finder window into the root level of the Project view. Click Finish in the following dialog without changing the settings. Add the request for microphone access. Right-click the Info.plist entry of the project tree and select Open As... > Source Code. Add the following lines into the <dict> section and then save the file. Make the debug output visible (View > Debug Area > Activate Console). Choose either the iOS simulator or an iOS device connected to your development machine as the destination for the app from the list in the Product -> Destination menu. Build and run the example code in the iOS simulator by selecting Product -> Run from the menu or clicking the Play button. Currently the Speech SDK only supports 64bit iOS platforms. After you click the "Recognize (File)" button in the app, you should see the contents of the audio file "What's the weather like?" on the lower part of the screen. After you click the "Recognize (Microphone)" button in the app and say a few words, you should see the text you have spoken on the lower part of the screen.